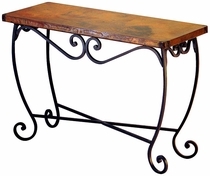 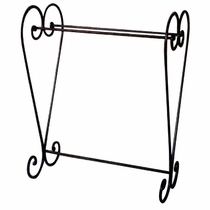 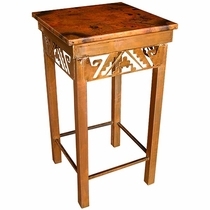 Our wrought iron accent furniture is hand crafted by skilled iron craftsmen in Mexico. 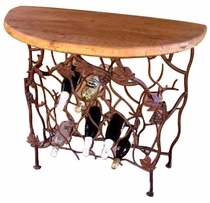 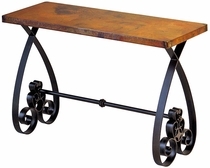 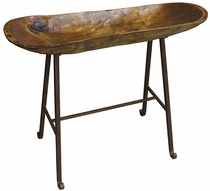 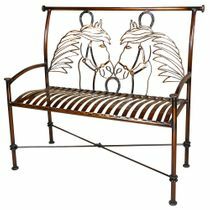 From a coffee table made from old horseshoes to an ornate iron wine rack, or unique iron consoles with hammered copper tops, you'll find the perfect piece to fit your rustic, Tuscan or southwest decor. 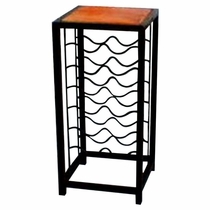 All items include free shipping.